A dissection of American life in the late 1960s, Play It As It Lays captures the mood of an entire generation. 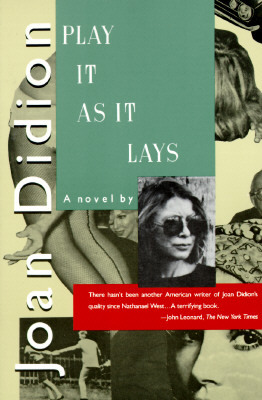 Joan Didion chose Hollywood to serve as her microcosm of contemporary society and exposed a culture characterized by emptiness and ennui. Maria Wyeth is an emotional drifter who has become almost anesthetized against pain and pleasure. She finds herself, in her early thirties, radically divorced from husband, lovers, friends, her own past and her own future. Actress, daughter, wife, mother, woman: she has played each role to the sound of one hand clapping. Play It As It Lays is set in a place beyond good and evil, literally in Los Angeles and Las Vegas and the barren wastes of the Mojave, but figuratively in the landscape of an arid soul. Two decades after its original publication, it remains a profoundly disturbing novel.